In the videos, Shambhulal Regar makes it clear that he has no regrets over killing Mohammad Afrazul. 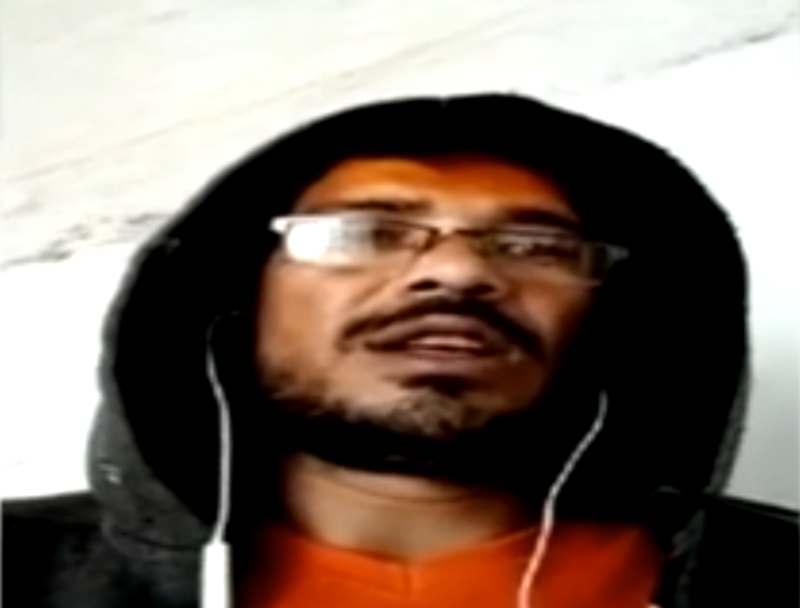 New Delhi: Shambhulal Regar, the man who hacked and burnt a Muslim migrant worker to death in Rajasthan’s Rajsamand on video, has now created more videos propagating communal hate. Regar has made these new videos from inside Jodhpur central jail, and the fact that he was able to make them is being seen as a major security breach, according to NDTV. Two such videos have surfaced, with Regar wearing a hoodie and sitting inside what looks to be a jail cell. He rants about Muslim “jihadis”, alleged a threat to his own life and asks all Hindus to unite to fight against Muslims. The video show him reading out of what looks like a prepared script. Regar also makes it clear that he has no regrets over killing Mohammad Afrazul. “I couldn’t bear threats to Hindu women. I have ruined my life and I don’t regret it. But I am sad about the fact that the law and the media showed (an) illicit relationship with her and me,” NDTV quotes him as saying. According to the channel, Regar is referencing reports that exposed how a failed relationship with a minor may have triggered the attack. While the channel has not independently authenticated the videos, state home minister Gulab Chand Kataria has ordered an inquiry into how a prisoner in a high-security jail was able to get his hands on a mobile phone. The police has also filed an FIR in the matter and a search is on for the phone. However, it has not yet been found, NDTV reported. Regar has reportedly told the police that the phone used was not his, but has not revealed who it belongs to. In one of the videos, Indian Express reported, Regar starts off by saying that it is his ‘last’. “The jail administration has kept me in one of the most protected cells but still a person called Vasudev Brahman met me. Brahman is from West Bengal and is also a prisoner here. Slowly, he tried to befriend me and would criticise Islam and expressed his solidarity with me which made me suspicious,” he reportedly says in the video. The police has denied any such danger to him. “He (Regar) is saying that he had used someone else’s mobile phone to film the videos. There’s no truth in his allegations that his life is in danger. The other man he refers to is from West Bengal [and] is indeed a Brahmin by caste and was arrested for possessing opium,” Vikram Singh, superintendent of Jodhpur central jail, told the Indian Express. “Regar is currently being kept at a separate barrack. He did come to meet me a few days ago and said that he wanted to go to the general barrack. We are trying to find out that how he managed to get access to the phone and filmed the videos,” said Singh. On December 6, Regar had hacked Afrazul with a cleaver and then set his body on fire. He recorded the attack, and also made a speech for the camera trying to justify his actions – he was apparently saving a Hindu women from what he said was ‘love jihad‘. “This is what will happen to you if you do ‘love jihad’ in our country,” he warned others. “Love jihad” is the term used by the Hindu right to describe an imaginary conspiracy by “Muslims” to seduce and then convert Hindu women to Islam.